If you’re on Instagram and you follow any fitness enthusiasts, you have probably seen the meme which says “Summer bodies are made in the winter”. For all of our sakes, we hope not. We don’t know about you, but we’ve been mostly on the carbohydrates since November. We blame the weather, illness and work! (And so do you.) We do acknowledge however, that we can’t just wait until May to start getting our act together. If you read our last post, you’ll know that we’ve really been getting to the gym lately. We’ve been taking the stairs. We’ve been doing squats while cooking dinner. We’ve been sucking in our stomachs and looking at ourselves in the mirror, imagining what we’ll look like in a couple of months. We’ve also been trying to nudge ourselves towards fruit, veg and good sources of protein. And Instagram is actually a huge inspiration. You just have to search for healthy snacks and you come up with all kinds of combinations. 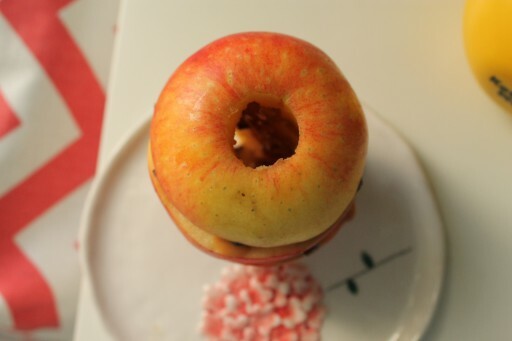 And here’s ours: an apple sandwich! No bread ( 😦 ) but yummy peanut butter for protein and cocoa nibs for that chocolatey crunch! It works as a great post-gym or lunchbox snack being quite portable. The key is to use natural peanut butter – the kind that only contains peanuts and salt. It kind of defeats the purpose if you’re ingesting a load of chemicals. Spread about 0.5 tbsp onto each slice. Sprinkle cocoa nibs on top of the peanut butter. 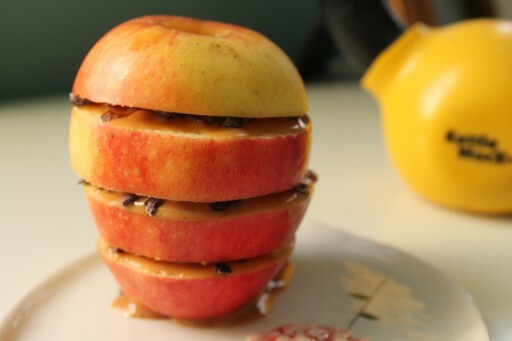 LOVE peanut butter and apple. Never thought of adding cocoa nibs.. Gonna try it ! It adds a really interesting texture and gives you a hit of chocolate! It’s wonderful! Your idea is very creative. They look delicious. I’ve never tried eating an apple like this before. I can’t wait to have a try.